It's super cool! Cool2Craft TV May 21, 2012: Love My Music! 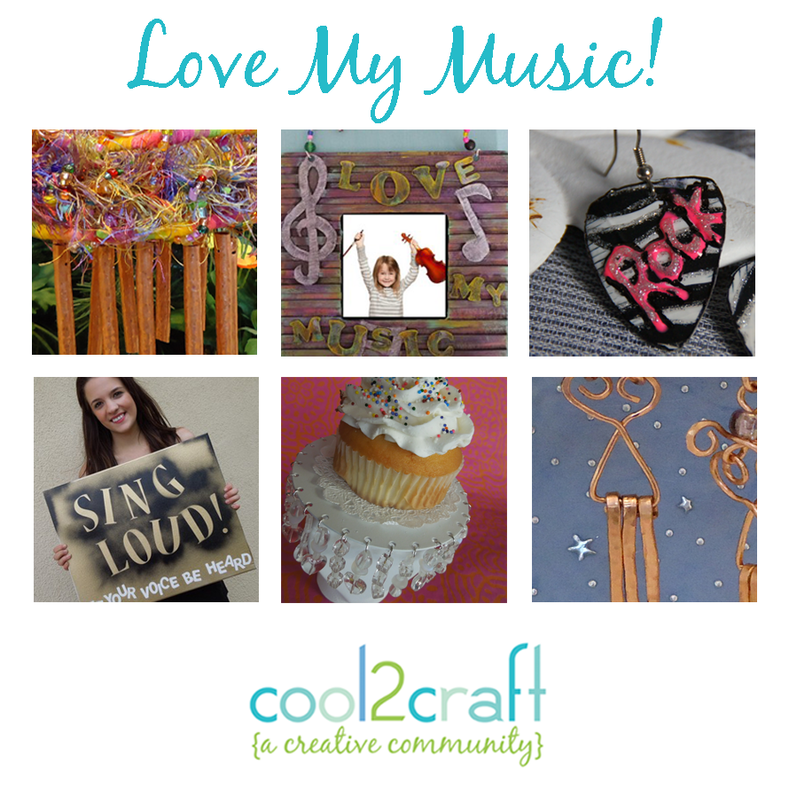 The Cool2Craft design team is sharing music themed craft ideas this week! EcoHeidi Borchers is creating a Love My Music Craft Foam Frame featuring Aleene's FunFoam Craft Glue, Tiffany is crafting CD Cupcake Holders featuring Aleene's Platinum Bond 7800 All Purpose Adhesive, Candace Jedrowicz is making Outdoor Windchimes and Softly Chiming Earrings, Savannah Starr is crafting a Sing Loud! Stenciled Canvas and Linda Peterson is creating Guitar Pick Earrings. Learn new techniques, chat with us while watching the show and ask questions about all your favorite Aleene's products! It’s easy to watch the Cool2Craft TV Channel right from your computer. Airing Monday May 21, 2012 9am Pacific/10am Mountain/11 am Central/ Noon Eastern. Go to http://cool2craft.com and you'll see the Livestream player and chat box. See you Monday! Can't make the live show? No problem, you can drop by anytime 24/7 to watch the show!